Generation Tasks allow additional automation Tasks to be run on Parts, Assemblies and Drawings. Only Queued model generation is supported. Generation Tasks will not work with OnDemand model generation. Enabling a loop allows the sequence of Tasks to iterate through the Component or Drawing with each iteration producing unique results. This allows DriveWorks to perform Generative Modeling. Additional parameters available for capture as a result of capturing a feature. An automatic state is similar to a "Paused" state, except that if DriveWorks Autopilot is running, it will automatically find the first transition to a "Paused" state and run it. This is useful if you want certain tasks to take place on a server. A mode of operation for the 3D Preview Box control to display 3D content. 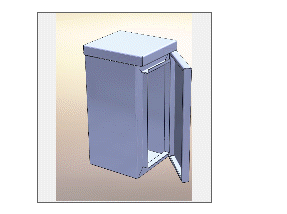 This mode will create and render SolidWorks files using the specified engine. Any of the tabs on the right-hand side of the Rule Builder which enable quick access to project items such as variables and controls. The capture assistant is an add-in to SolidWorks which is installed with DriveWorks. 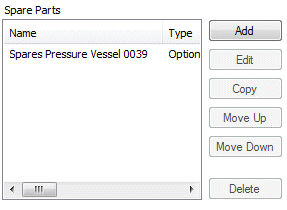 It enables you to quickly and easily tell DriveWorks which models, features, dimensions and more you want to automate. A user form control which displays a check mark when selected. The check box reports TRUE when selected and FALSE when not selected. A project that is specified by clicking Add from the child specification list control in the parent project. A user form control that allows projects to be specified as children of a parent project. Common information can be passed down from the main project into the child projects. And variable information can be passed up from the child project into the main project. A user form control that allows a single item to be selected from a drop down list. A bar which shows buttons for commands at the top of the Capture Explorer, the Project Designer, or the Rule Builder. Used in ODBC Data Export. Allow the same rule to be built for fields where multiple rows exported. See ODBC Data Export for more information. An assembly, part, or drawing. A part or assembly which has been added to the Model Rules screen and is not contained in a parent assembly. A term used with Specification Flow. Conditions are used to control when specific tasks in a task sequence are executed, or if an operation or transition is hidden or disabled. A static value (text or numeric) that never changes. A text box, check box, or some other control added to the form designer. Used in Data Export. Control Fields control whether a row is inserted, updated, or ignored. See ODBC Data Export or SQL Server Data Export for more information. A static document that is copied after specifying so it can be stored with the specification. Copies the contents of the box to the clipboard. 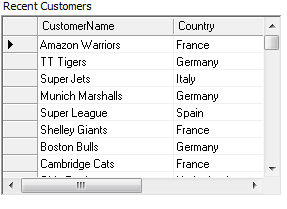 Provide the ability to store meta-data within the model or drawing. A user form control that will display filtered data from a database back into the user form. The Data Table control allows selectable data, from a table or database, to be presented on a user form. The ability of form navigation to choose if a user form is to be displayed during specification. 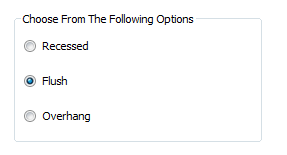 This is a setting available in General Settings. This is the root location from where all new Models, Drawings and additional File Formats created by DriveWorks will be stored. The installation of software and organization of the DriveWorks implementation so others have access to be able to specify. A user form control that will launch a user form that has no navigation as a dialog. A user form without any connections that link it to the start and finish form navigation flags. The Dialog Button and Item List controls will launch the dialog form as a modal window (requires user interaction before returning to the main navigation). With DriveWorks Administrator and DriveWorks User this will be in the form of a pop up window that sits in front of the main specification window. With DriveWorks Live this will launch within the same specification window, that will return to the main specification when closed. A dialog form launched from the Dialog Button or Item List controls can navigate to other dialog forms. A dialog form launched within the Frame Control cannot navigate to any other dialog forms within the same frame control. The editor which is shown when a document is edited in the Documents task in the Project Designer. Document Mode describes the 3D Preview Box when it is pointed at a DriveWorks 3D document in your DriveWorks Project. Using the 3D Preview Box in this way, enables changes on your form to alter the displayed 3D file; based on rules. A file format that allows 3D models to be viewed on the web without client side plugins being installed. Multi browser compatible. DriveWorks Task Identification - A bug or accepted enhancement request is assigned a DriveWorks Task Identification to enable tracking of the item. A Dynamic Rule is a rule whose result can change. Referencing any form control value, variable or function within a rule makes it dynamic and will automatically be re-calculated, whenever a control is changed, during specification. Excel projects are no longer supported. Other file types that can be created from the source file. 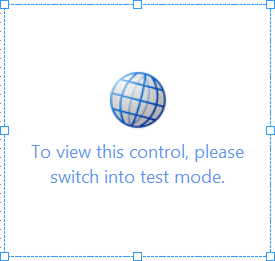 File Mode describes the 3D Preview Box when it is pointed at a static file on your computer or the network. A box with a filter icon to the right which allows a tree or list to be filtered. A default transition to pass a specification into a pending state. A type of control property where the value can only be set in the Form Designer (not by a rule). A custom message that can be displayed as specification tasks during specification. Form Messages are accessed from DriveWorks Administrator. These allow common messages to be allocated an incremental number that can be referenced in the Error Result property of form controls. The Error Result property determines if the message is to be displayed during specification. Form messages are displayed in the task list. The process of passing from one user form to another during specification. A user form control that displays a box in which a dialog form can be displayed. A wizard shown in the Help and Diagnostics area of the Rule Builder when a function is selected from the Functions Dialog. Launched from the Command Bar on the Rule Builder. Allows for quick selection of a function to add to the Rule Builder. A database that holds DriveWorks data. The data held in a Group ranges from information captured from the CAD models being automated to details of users and teams. A Group also holds data about the Projects that have been created. DriveWorks supports two types of groups - Individual and Shared. The application of SolidWorks models and drawings combined with the documents, user forms, rules and data required to produce the required outputs automatically. The first state a specification enters when a new specification has been started. An inline frame is used to display a web page within a web page. DriveWorks Live sites can be displayed within an inline frame on a website by using the <iframe> tag. See HTML Iframes for more information. Two or more identical occurrences of the same component within an assembly. A naming convention applied to the file name parameter of an output document. An intelligent file name is a name that will enable DriveWorks to determine if an output has been generated previously. Typically an intelligent file name is made up from key input values on the user form, or the results from captured parameters. The files used by DriveWorks to produce all clones from. A user form control that accepts numeric values and gives a choice of units for the value entered. Automatic conversion between units is supported and mathematical expressions can be used in the control. The process of moving data from earlier versions of DriveWorks to the latest version or upsizing from DriveWorksXpress and DriveWorks Solo to DriveWorks Pro. A user form control that accepts numeric values only. Function of DriveWorks that allows a temporary model to be built while specifying in the SolidWorks task pane. A term used with Specification Flow. Operations are actions that can be performed on a specification that has entered a state. Operations trigger task sequences that apply the required action. A project where the child specification list control has been added to one of the user forms and from which the child project or projects can be specified. If a state is a "Paused" state then it is one which is shown in the Specification Explorer, e.g. "Pending", "Completed" are paused states. Available as a task in the task explorer of DriveWorks Administrator. Allows previewing and editing of a DriveWorks Live theme locally. A user form control that will display an image. A collection of user forms, data and rules from which a specification can be made that will automatically generate the required outputs. A Project is stored in a Group. Also referred to as DriveWorks Administrator. Provides form design, model rule administration, and other capabilities. A Proxy Server is a server that acts as an intermediary for requests from clients seeking resources from other servers (such as the internet). 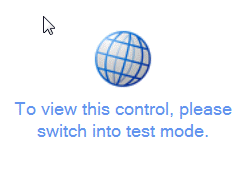 A Proxy Server can be used to restrict traffic to the internet from client computers. A default transition to pass a specification into a queue to have models generated. Available for a captured part or assembly. A part or assembly which can replace the part or assembly against which it is captured. A formula which controls the value of the item to which it is attached, e.g. a dimension of a feature, or the name of a drawing. The dialog shown when building a rule, e.g. for a variable, model rule, or form control property. Indicates the user forms will be loaded into the specification window or browser for the users to enter data onto. The header icon and text shown at the bottom of the Capture Explorer for a specific Capture Explorer Section. A database that holds DriveWorks information and allows multiple connections for access to administer and specify DriveWorks projects. When more than one connection to the DriveWorks group exists (for example when DriveWorks Autopilot, DriveWorks User or DriveWorks Live is connected) the group MUST be a Shared Group. The images and layout surrounding the DriveWorks user forms when displayed in a web browser. The slider displays a slide bar which represents a numeric value. Each time you run your project to automate a new set of models, you are creating a specification. The specification keeps a history of the outputs that are created throughout the lifetime of the specification. The Specification Explorer shows the history of all specifications made through DriveWorks. DriveWorks Administrator - From the Task Explorer under Stage 2 (or Stage 6 with a project open): Specification > Specification Explorer. DriveWorks User - From the Task Explorer under Stage 2: Specification > Specification Explorer. DriveWorks Autopilot - From the Task Explorer under Stage 2: Specification > Specification Explorer. DriveWorks Live (App Theme) - From the Task Explorer by clicking the Specification Explorer link. New specifications can be created from the Specification Explorer of DriveWorks Administrator, DriveWorks User and DriveWorks Autopilot. Control over which users can view the history of their own and other users is granted from Stage 1: Group Setup > Security Settings of DriveWorks Administrator. The Actions that can be performed on a selected specification are applied through the Specification Flow (Stage 5: Specification Control) of DriveWorks Administrator. Specification Flow is a powerful feature that gives you full control over the specification process. Specification flow can be tailored to give specific users and teams permissions to initiate certain characteristics during the life cycle of the specification. A user form control where the displayed value is incremented by the selection of up and down arrows. A term used with Specification Flow. States are used to control what actions should be taken if an operation or transition is started, or in the event of entering or leaving a state. System Data Source Name. Data Provides connectivity to a database through an ODBC driver. A method for storing tabular data. The editor which is shown when a table is edited in the Define Tables task in the Project Designer. 1. A single task shown in the Task Explorer in the DriveWorks application to provide access to functionality in that application, e.g. Form Design, or Specification Explorer. 2. A term used with Specification Flow. Tasks are sequences of actions that are performed when a specification enters or leaves a state, has an operation applied or during transition to a state. The list on the left hand side of the DriveWorks application which are used to perform specific functions. The area in SolidWorks where the DriveWorks capture assistant is loaded, and which can be hidden or shown by right clicking on SolidWorks' command bar or menu bar. Teams are groups of users. Each team has a configurable set of permissions which govern whether the users in that team can capture models, and edit and/or specify certain projects in the group. A user form control that will accept alpha and numeric entries. A term used with Specification Flow. A specification transitions from state to state when the user clicks the corresponding navigation button on the user form. A unique file name is a name that will result in a new document regardless of content. A unique file name should use an input or variable that is unique to the specification from which the output is to be created. For example an Order Number entered into the user form or by use of the special variable Specification ID. A user form control that, when selected, will allow a file to be uploaded to the specification. The forms used to enter or select data for the specification. Users are added to teams to control their access to projects. Each user has a name and a password which they use to log on to a group. A dynamic value (text or numeric) determined by a rule. A user form control that allows external web content to be rendered onto a user form.